Horrocks Chiropractic offers a mobile chiropractic service. Once you have arranged an appointment, your chiropractor will visit you in your home or workplace. Do you suffer with headaches? Do you have to find a dark room or just try to sleep to get some relief? Research shows the effectiveness of Chiropractic. Would you like relief? Call now to book an appointment. Do you have days where you can`t even get out of bed because of pain? 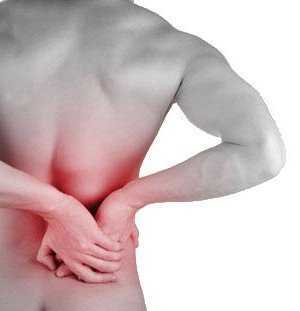 Are you unable to garden due to low back pain, shoulder pain or knee pain? Sports and Golf - Remove the pain, improve your game ! low back pain or pain between the shoulders? Would you like to play again? Call now for an appointment. 30% of PGA Professionals are playing with Low Back Pain. 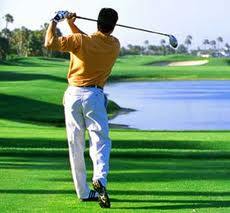 Are you playing golf with an injury? Has that affected your swing and distance? Distance and power, starts with hip rotation. Aligning your spine could be the key. Would you like to improve your game? Do you have pain or difficulty bowling? Do you have pain or difficulty playing tennis? Do you have pain or are unable to perform all of an exercise class? Would you like relief? Call now for an appointment. Are you pregnant with low back pain? Have you given birth and have back pain? Do you have pain lifting your children or grand-children? Are you unable to lift your children or grand-children due to pain? Have you been involved in car accident? Do you have difficulty or pain in your neck when reversing the car? We cover most of the North West area, including Lymm, Newton-le-Willows, Prescot, Widnes, Sale, Wilmslow, Atherton, Leigh, Blackburn, Preston, Accrington, Eccleston, Mawdesky, Walkden, Wrightington, Salford, Worsley, Bolton, Standish, Wallasey, Liverpool, Merseyside, Middlebrook, Wigan, Aston-in-Makerfield, Darwen, Worthington, Chorley, Ormskirk, St Helens, Horwich, Leyland, Runcorn, Skelmersdale, Lancashire, and Warrington, UK.